One of the most sobering places we have visited the last few years on our annual mission trip the Buhangija Albino Center in Shinyanga. This is a place where we see the innocence of youth and learn of the evils of man. The Buhangija Albino compound is one of 4 or 5 similar compounds in Tanzania established by the government to house albino children of all ages for their own safety. 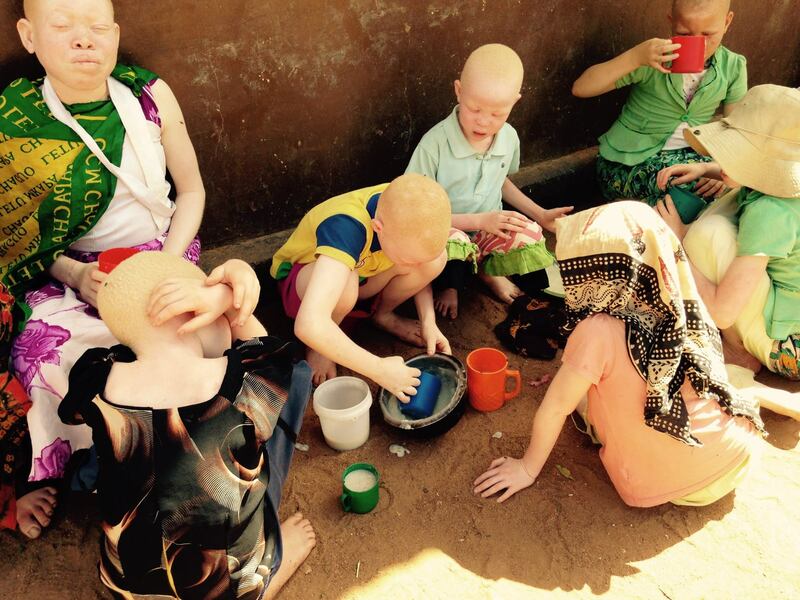 The purpose of these compounds is to protect albino children from people who want to maim and kill them for their body parts. It is truly amazing to me that they are seen as outcasts by the Sukuma population, and yet at the same time they are valuable for the good luck they are believed to bring. 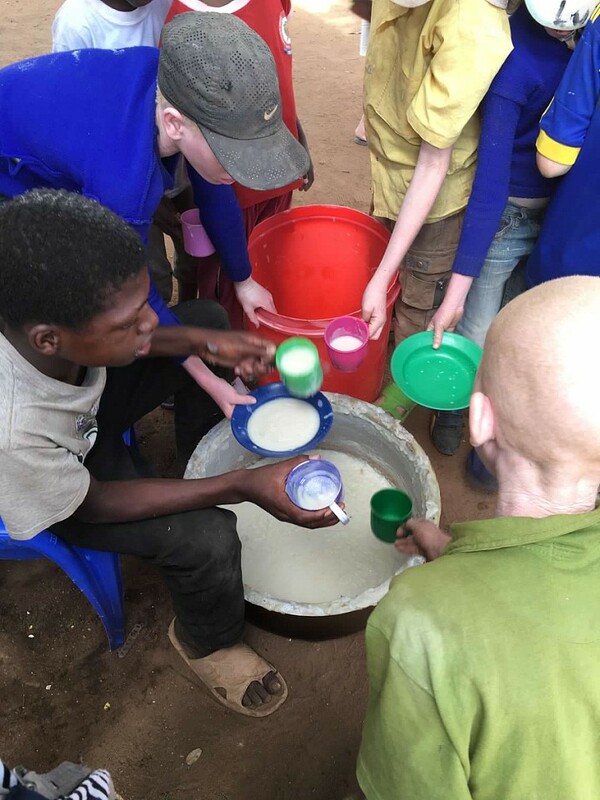 The witch doctors teach the people that body parts will bring them good luck, such as albino hair woven into fishing nets can bring a good catch or a finger bone will bring good luck to a miner looking for gold or diamonds. Because of this twisted belief, they live in fear for their life, and must be hidden away from society for their own protection. This compound surrounded by a huge wall becomes their home, providing them with just the barest of necessities. We are told that each morning when they look outside the gate, it is not unusual to see a baby or child left there by family members. You may wonder why the government has not outlawed this horrible practice. There is a law on the books against this, but enforcement is lacking. 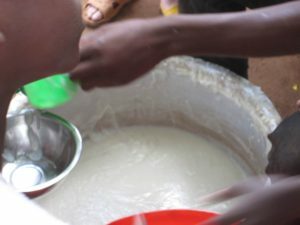 This is another reason why it is important to evangelize this area and teach the people about Christianity, and not allow them to continue to follow the teachings of witchcraft. 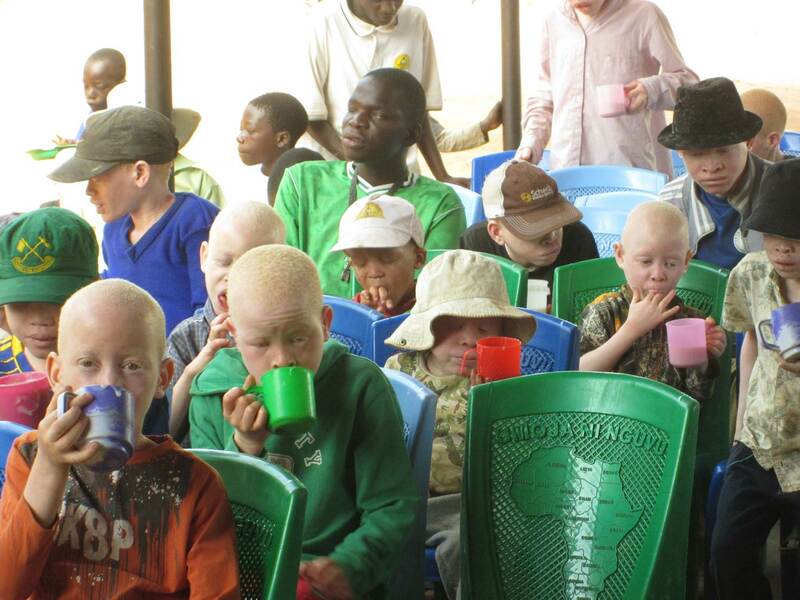 Buhangija Albino Center houses over 400 children, ranging in age from infants to around age 16. 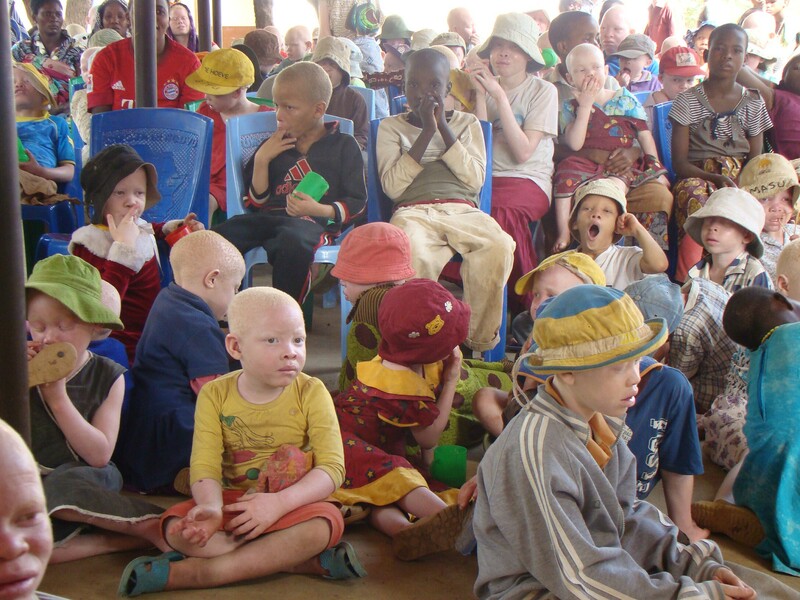 Of these approximately 40 to 80 of the children are either blind or deaf and not albino. They are probably residing there because of the inability of their families to attend to their special needs. We were told that 150 children are supported by scholarships that allow them to attend school, but the majority of the children must remain in the compound day after day with no opportunity for schooling. Sadly, 80% of the children never get visits from their family. The compound was built to provide for 40 and was originally run by Catholic nuns. When the government took over, they swelled the population to the current 400+. The money or space allocated has not increased. You can imagine that just feeding them is a challenge. There is a great need for food, and especially fresh fruit and vegetables. Many gave us money to use for needs identified on our mission trip and some specifically designated it for the albinos. We gave $400 dollars to the diocese that enabled them to purchase over 400 lbs. of rice, beans, maize. The weekly food cost of between 200 and 400 dollars needed would mean annual food cost is between $10,400 and $20,000. You can see why they sometimes just run out of food. The compound is overcrowded and has needs such as hats (Tanzania is situated right under the equator and they are susceptible to skin cancer), clothing, undergarments, sheets, sunscreen, and bedding. The list could go on and on. The director would also like to have a dispensary, personnel, and medicine to treat the children. 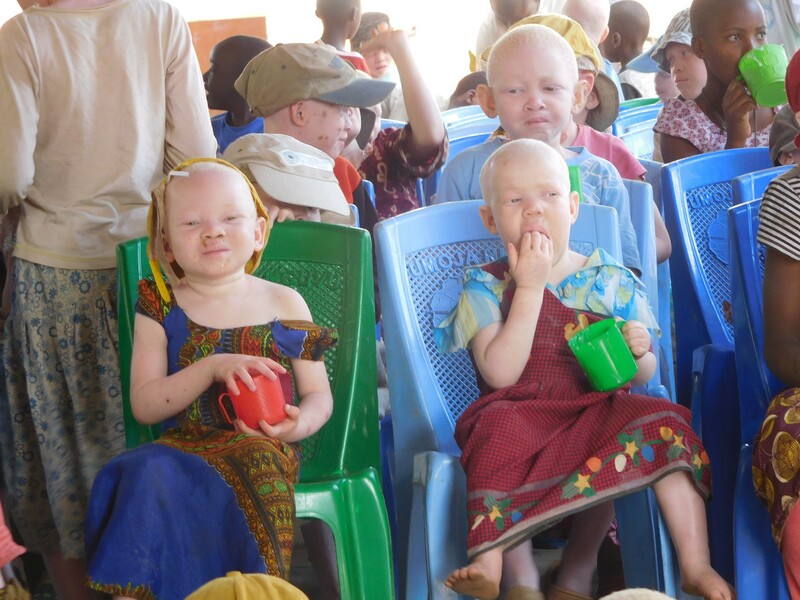 Many albinos have eye problems and are prone to skin lesions. They appreciate the support of the Southeast of Lake Victoria diocese of the Lutheran Church of Tanzania, which is their largest supporter. We are proud to partner with the SELVD with our support. One of the visions the SELVD has is to find a location that has appropriate security and allow the children the opportunity to attend school. Please pray for wisdom and for all these dear children.